The right foundation plants do much more than cover the soil beneath them—they can enhance the overall aesthetic of your property and pull your landscape design together. After all, it’s the finishing touches, like vines and shrubs, that make a landscape stand out and even add an element of privacy. At O’Grady’s Landscape, we have the expertise to seamlessly integrate foundation plants into your design to bring out its beauty. Fall in love with your home all over again—call us at 703-533-5001 to install foundation plantings in Northern Virginia today! Careful installation is critical to the success of foundation plants in Northern Virginia, so it’s important you choose a landscaper you can rely on. At O’Grady’s Landscape, we know the ins and outs of landscaping and have perfected techniques for spacing, soil care, and plant designs for all types of properties in the area—from sloped yards to corner homes and more. Additionally, we always take into account the soil composition and growth habits of each foundation plant, and pay special attention to the aesthetic to ensure both health and beauty for a finished look you’ll love. At O’Grady’s Landscape, we’re happy to walk you through the selection process to help you choose from a wide range of plant species that will perfectly complement your landscape. Our landscapers can recommend native foundation plantings for easy maintenance, flowering trees for added color, and much more. Have another idea for foundation plants in your property? Give us a call for more information or click here to learn more about our plant installation service! 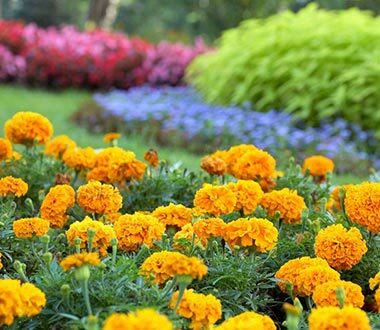 Whether you have an exact vision for the perfect foundation plants or need help choosing plantings and creating a design, O’Grady’s Landscape has your every need covered. We have extensive experience in all facets of Northern Virginia landscaping and specialize in creating custom plant designs tailored to each client’s unique goals. Create the picture-perfect landscape and keep your soil protected with foundation plantings in Great Falls, the City of Falls Church, McLean, Vienna, or North Arlington. Call O’Grady’s Landscape at 703-533-5001 for an estimate today!